The discovery of someone’s unwanted item serves as a foundation for Alyssa Danna to consider consumption, to muddy the narrative of the object, and to push material boundaries. She has a hyper-ability to create symbiotic relationships between objects, in which a viewer is unable to decipher where the melding of elements within her creation begins and ends. This allows Danna to look at the old and new, or more precisely the discarded and the renewed, and go beyond the physical to investigate broader concepts surrounding these dichotomies. 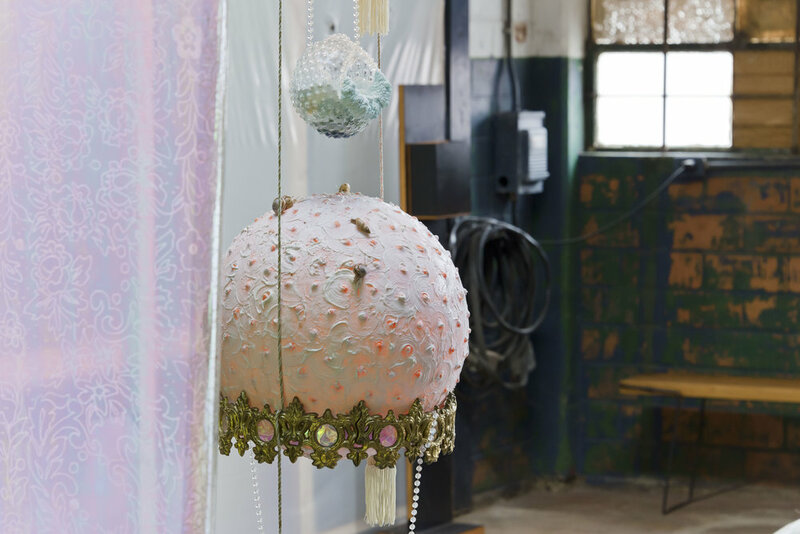 Tucked in a building, between a fabrication workshop and an automotive garage, Alyssa Danna occupies a small bay creating an elaborate installation that, once finished, was described by the artist herself—with a chuckle—as serving no purpose in a very purposeful place. The building, formerly used as a service station and engine repair shop in the 1940s, is the new home of French & Michigan. It is raw at the moment, built out of concrete, with rows of windows and four large skylights. 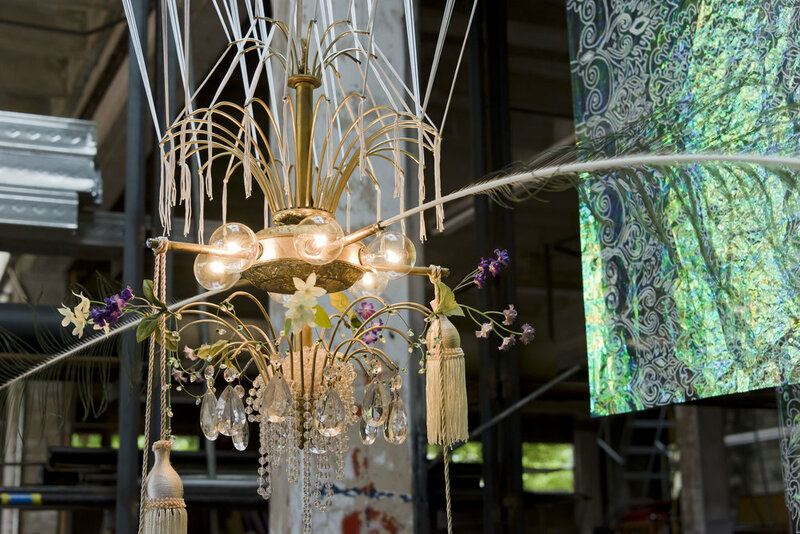 Danna’s installation, placed underneath one of the skylights, is a stark contrast to F&M Workshop and its fabricators operating alongside the artwork. Her installation consists of a beautiful world made up of found objects paired with a combination of time-honored sculptural materials and salt crystal formations. The main color, white, adds to the impractical feel of an installation placed in a working shop. F&M chose Danna to activate the exhibition space in its raw state for this exact reason. Not only does the environment allow for an element of surprise, as well as reinforce the surreality of the installation itself, but it also allows for an inquiry into bigger questions regarding art and where it should be. Danna is the first artist to inaugurate French & Michigan’s new home. In addition, her installation and accompanying publication also inaugurate the program of F&M Projects—a nonprofit organization born from the educational efforts of French & Michigan. A limited edition, hand-bound publication investigating Danna’s installation An Impractical World is released with a preface and essay by curator Céleste C. L. Wackenhut. Proceeds from the purchase of this catalogue support the newly developed nonprofit organization F&M Projects and its current educational mission.